Three hundred years before the Game of Thrones era, there were seven independent kingdoms – the Kingdoms of the North, the Vale, the Isles and Rivers, the Rock, and the Reach; the Storm Kingdom; and the Kingdom of Dorne. However, Aegon Targaryen and his two sisters flew dragons over those kingdoms and burned the people into submission. This event, known as Targaryen Conquest, merged the seven kingdoms into one mega kingdom under House Targaryen. In the Game of Thrones, Westeros, the continent with the England-esque coastline, is also called the Seven Kingdoms. While George RR Martin has stated that Westeros is roughly the size of South America*, Westeros does look suspiciously like a twisted map of England. Map of Anglo-Saxon Heptarchy. Source: J.G. Bartholomew via Wikipedia, expired copyright. George RR Martin may draw the idea of the Seven Kingdoms from England in the Dark Ages. Between roughly 500 to 850, England had seven self-governing kingdoms: Northumbria, Mercia, East Anglia, Kent, Essex, Sussex, and Wessex. (Sometimes these are called the heptarchy of England, where hepta means seven). 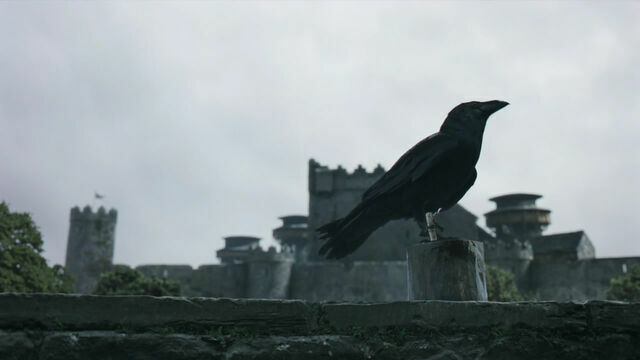 In Game of Thrones, its implied there was a war between House Stark and House Greyjoy, led by Theon’s father craggy Viking-esque father, Balon (“We Do Not Sow”). Likewise, in the Ninth century, there were wars between Northumbria and the Vikings. However, unlike Game of Thrones, Northumbria was partially conquered and York was under Danelaw. Robb’s bannermen swear fealty. Linked from Wikia. Click to enlarge. In Game of Thrones, when Robb’s bannermen rejected Joffrey’s rule and declared Robb King in the North, they effectively announced their intention to breakaway the North as a separate kingdom. By swearing an oath of fealty to Robb as King in the North, they rejected the Targaryen Conquest in favor of the pre-conquest state. In the Game of Thrones backstory, the King in the North swore fealty three hundred years before the show begins to the King on the Iron Throne, Aegon Targaryen. In some ways, the Game of Thrones is the story of England with some differences. Unlike the Seven Kingdoms, which the conquering Targaryens united, most of the Anglo-Saxon Heptarchy slowly dissolved. However, unlike the Kingdom in the North, Northumbria did not immediately succumb to a conqueror. Northumbria begin to come under central Norman rule until William the Conqueror’s son, William Rufus, and then it was a slow, piecemeal process. I wholeheartedly agree. I think in the decades to come people will come to view Martin’s work as exhibiting a similar, yet different, sort of genius. I actually feel that he continues in Tolkien’s vein but, to a certain extent, Martin defines a new genre with his historical symbolism. He went and took – the same as me! All the great literature, it seems to me, is founded on the ‘borrowing’ – taking old tales and motifs and giving them a twist. Thanks for sharing. I strongly agree. When I studied post-modern theory, we discussed a similar idea: there is no such thing as originality. Every story or idea builds on or derives from or reacts against another idea. I agree with this concept a great deal, although at the time, it was mindblowing for me. There is what is now a London suburb (formerly part of Essex) called Seven Kings. However, it seems that the name is a corruption of the name of a Saxon chief http://hidden-london.com/gazetteer/seven-kings/ I had heard that it was where the seven kings of an un-united England used to have their kings’ moots but it seems that was apocryphal (how disappointing).